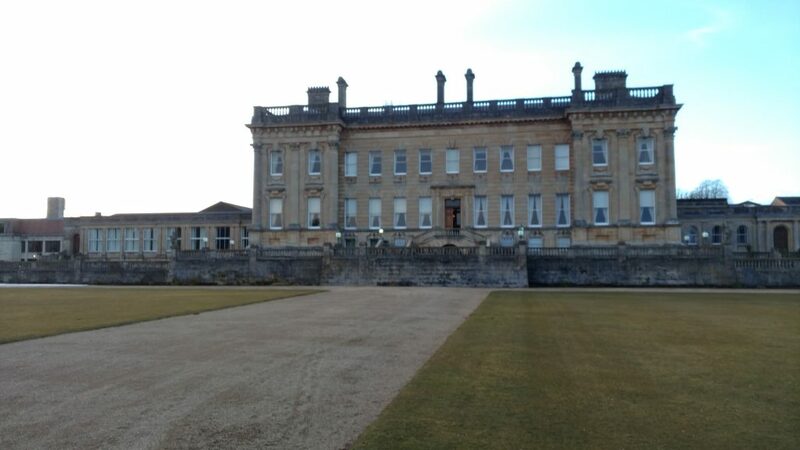 IPG’s annual Spring Conference, held at the Crowne Plaza Heythrop Park in Oxfordshire, is an exceptionally well-organized event welcoming small-to-mid-sized publishers for an intensive two days of sessions and networking, to help address the pressures distinct to publishers of this size. The grounds of the Crowne Plaza are beautiful, looking a bit like a Downton Abbey manor house placed in the midst of a sylvan Tolkien tale. There are truly few better places to have a conference! A particular benefit is that it’s removed from the London trade publishing world, bringing Great Britain’s publishers to an area outside the city, thoughtfully disconnecting them from the day-to-day distractions that can pop up when you’re just a quick tube ride away from the office, or the sense of obligation to play tourist should you find yourself in London having come from a place far away. Westchester’s Interim Director, UK – Tim Davies – and I were excited to exhibit at the conference. 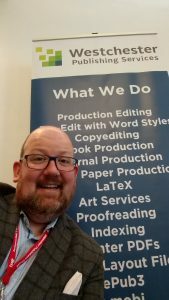 Tim came on board just prior to the conference, providing a great opportunity for him to meet with some of our existing clients as well as talk with other publishers in the industry about their current workflows for editorial and production on their publications. Tim has a longstanding history within the IPG and had been invited to host a very well received workshop with smaller publishers about managing growth and operations. He has also dived in to his new role at Westchester and has provided wise guidance on the resources we will continue to expand to support the particular needs of British publishers. For Westchester overall, finally getting to attend an IPG event was very valuable. The sessions ranged from the topical (the BBC’s Amol Rajan discussing the trends of fake news and the trust in content), to the geopolitical (MP Ken Clarke providing a perspective on Brexit for the publishing industry), to specific publishing topics (workshops, presentations, GDPR and AI sessions, and a keynote by innovative designer Alan Moore). The feedback for IPG following the conference was very positive. You can read their post-conference wrap up here, which is like a mini-summary for those who missed it. The footprint of IPG’s membership aligns quite closely with the size of clients Westchester typically supports, especially those that are in growth mode and are at the point where they need to evaluate the choice of hiring on a vendor to help support growth, or hiring on more staff and having enough work to keep them constantly busy. Within the coming weeks, a white paper sponsored by Westchester Publishing Services will be released exploring that idea in greater detail. Make sure you subscribe to this blog to stay up to date on that. 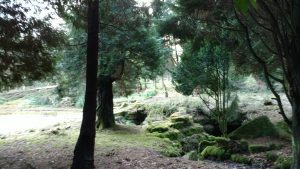 While that paper has been in production for a while it was really valuable to revalidate that position in discussions with many publishers that are approaching that tipping point of growth. In closing, the IPG conference also served as a great opportunity to meet with several of Great Britain’s independent publishers in advance of attending the forthcoming London Book Fair. It helped us to reaffirm the services that Westchester provides are in alignment with their requirements as we continue to expand our support for publishers in this important market. Are you headed to LBF? You can find Westchester on Stand 6B107b. Contact Us to arrange an appointment at the Fair, or just come by our Stand to meet some of our management team and discuss your particular publications needs.